Perhaps your family has grown since you’ve moved into your beloved home, or maybe you’re dealing with a pesky heating or mold issue. You may simply be ready to upgrade to a new level of comfort and luxury. There are plenty of reasons to renovate. Whatever the case may be, we want to help you make your home better fit your lifestyle and needs. Ready to modernize your kitchen or bathroom? From less complicated aesthetic changes to complete remodels, tell us about how you’d like to improve your kitchen or bathrooms, and we’ll offer expert plans, considering the existing plumbing and structural specifications. Are you planning a more extensive home remodel? We’ve got your covered here, too! 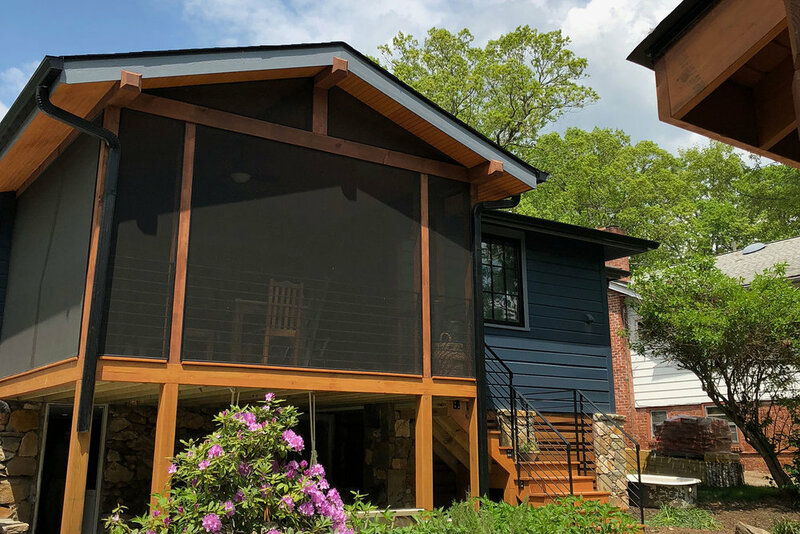 Steel Root Builders has a track record of completely transforming existing homes in Asheville, while retaining signature character and style. Whether you’re adding a floor or a room, we’re excited to help you create a totally new living space in your existing home! If green and efficient construction is important to you, make sure to align with a trusted building partner who shares your values. Our firm has a legacy of building sustainably and sourcing recycled or environmentally friendly materials for building and renovation projects. Let’s map out your remodel! Get in touch.